Saltburn Learning Campus is backing a national funding campaign along with other schools in the North East and beyond who who have been hit by the funding crisis in education. 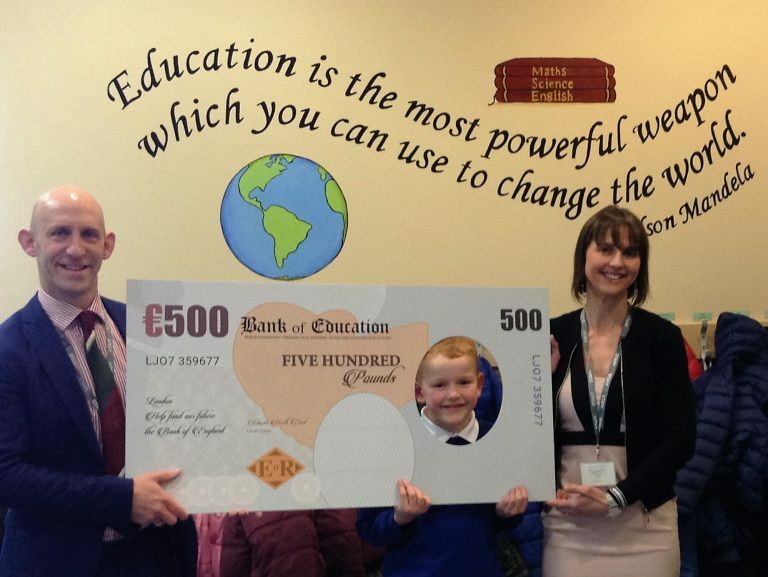 Above: Executive Headteacher, Mr Eyre, Year 3 pupil Alfred, and Head of Saltburn Primary, Mrs Chadwick. The campaign calls on the Prime Minister to #FundOurFuture, by asking people to create a banknote with a photo or drawing of their child on it that will be sent to Westminster. The banknote literally puts children at the centre of the picture and will show the Government the public support for investing in our children’s futures. 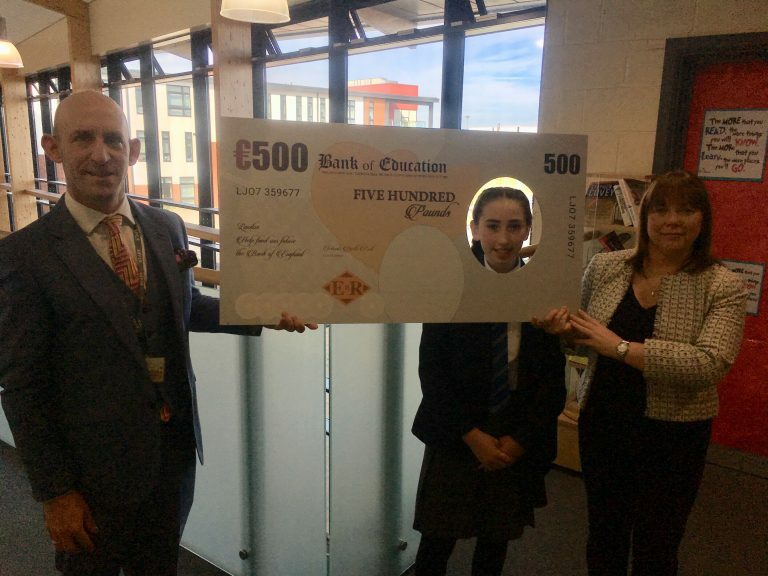 Above: Mr Eyre, Year 7 student Aoife, and Head of Huntcliff, Miss Wilkinson. An average of £500 per student is missing out each year due to the reduction of school funding in England. Saltburn Learning Campus has today launched their campaign, calling for Government to commit to plugging the £4.2 billion funding gap. They are raising awareness on their social media platforms and have asked parents/carers to get involved too to send the Prime Minister a clear message. Schools North east is asking everyone to take a minute to visit the FundOurFuture Website to create a banknote, then share it online with the hashtag #FundOurFuture.